Loved the dress!!! Came in a day before it was supposed to! I ordered a size up just in case and it fit. We have purchased many of these dresses. MillyBridal, is amazing!! They make beautiful dresses and they fit my daughter in law perfectly .. If you have a question about size, just send them an email. They were quick in responding and they were correct. We have purchased about 5-6 dresses from them. Very happy with everything . Give them time, it does take a few weeks but well worth the wait!! Beautiful dress, good quality, perfect fit, arrived just in time for prom as scheduled. I am very satisfied. I will definitely order again form MillyBridal. This dress was beautiful! Shipped promptly. Arrived in good condition. Great dress, and I'm definitely buying more from this website! I love this dress. It is actually more than I could have imagined. I can't wait to wear this at my 20th anniversary celebration. I love, love the dress, thanks so much! The dress is exactly what I order the color and dress are identical to the one pictured. Delivery was fair for the price. Overall very happy with my purchase. The dress is beautiful! The workmanship is stellar and the quality is outstanding. The production time and shipping times were on spot. I was very pleased with my purchase. 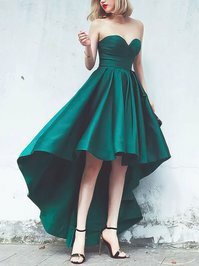 I ordered the dress custom made and found the customer service to be fantastic. They noticed my measurements did not seem right so they emailed to double check before starting to make the dress luckily as my measurements were way off and the dress would never have fit. The dress arrived around a month after ordering. The quality was great and better than expected for ordering online. Would highly recommend. This dress is so beautiful! The quality is above what I expected! Delivery was good too. Couldn? ?t be happier!